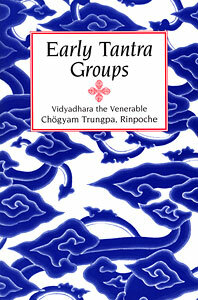 Available to students who have completed Vajrayana Seminary or Sacred World Assembly. Please include the year and place you attended in the comments section of your order. From 1974 to 1975 in Boulder, Colorado, Vidyadhara Chogyam Trungpa Rinpoche held a series of historic meetings with a few of his closest students, in which he gave transmission to begin vajrayana practice. This collection of edited transcripts and notes makes available the extraordinary communication that took place in these meetings with the first two tantra groups. Includes the discussion of the essential understanding of the view and practice of vajrayana, as well as a detailed discussion of the nature of mind transmission.